Having someone to look up to, who can guide us, can be the difference that makes all the difference. Meeting our heroes can transform our life! Knowing our family is safe is the most important thing in life. No one can do it on their own. Together we can make all the difference. “I was born with a gift that allowed me to achieve remarkable success in my life, now I am sharing all that I have learnt. I take great pride in witnessing others achieve their personal fitness and the knowledge that their personal and family health goals are being met. I was raised by tough, strict, yet loving parents, who taught me to believe that I could do anything I put my mind to. Total Success Summit has been bringing out some of the most influential members of our global community ranging from World Champions to A-List Actors like Arnold Schwarzenegger. When Ian Jacobs was asked to speak our team was there to support him. We feel privileged to continue to be a part of a close knit community who all share the same passion for connecting these amazing individuals with as many people as possible in the effort to inspire us all to become better people. My team and I were excited to meet GSP and hear his story. We want to share this experience with more people and will continue to support awesome programs like Total Success Summit that are doing the same. GSP retired as the reigning Welterweight Champion on December 13, 2013, having held the record for most wins in title bouts and the second longest combined title streak in UFC history (2,204 days) while defending his title 12 consecutive times. He returned to the Octagon in November 2017 at UFC 217, when he defeated Michael Bisping by submission to win the Middleweight title, thus becoming the fourth fighter in the history of the UFC to be a multi-division champion. Triple World Champion Ian Jacobs Is Challenged By The Newcomer Charlie Hall! 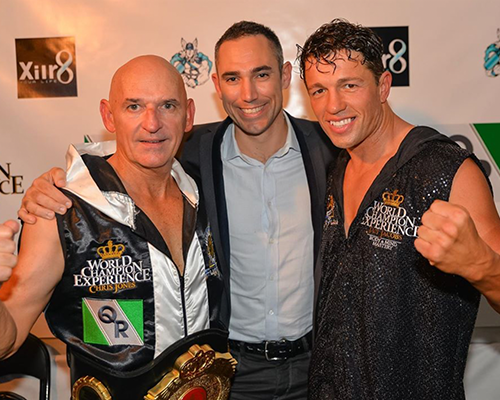 The World Champion Experience exhibition title fight has been 3 years in the making .Charlie first trained with his mentor 3 x World Champion Kickboxer, Ian Jacobs back in 2015. 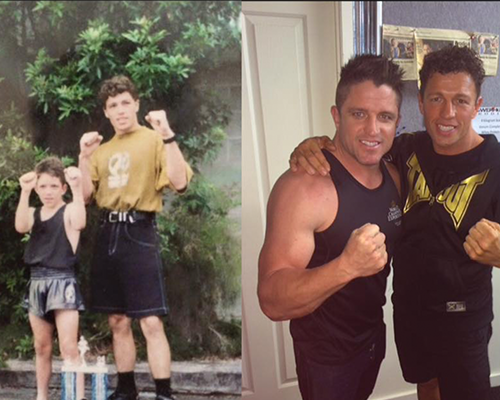 Ian inspired young Charlie to commit to train hard so he could one day take on his mentor in the ring. 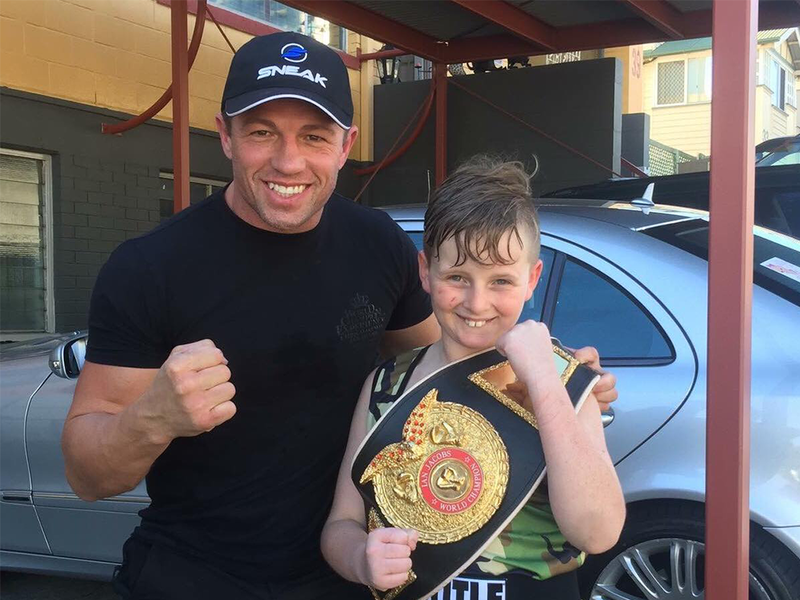 An eleven year old Hervey Bay boxer is getting ready to take on a three times world champion kickboxer. Charlie Hall endured years of bullying, but has become a different person after picking up a pair of boxing gloves. Now he's an ambassador against bullying, wanting to help kids all over the country. Ian has inspired so many people. Here are a few of their stories. Chris 'Concrete' Jones has the guts to be the first man to complete the World Champion Experience and step into the ring with Ian Jacobs a Triple World Champion. The World Champion Experience is a 3 month journey that takes participants from zero to hero. This transformation is so powerful that by the end of the program someone with no experience is fit enough to go toe to toe with a world champion in 3 x 3 minute rounds in an exhibition fight in front of a live crowd. 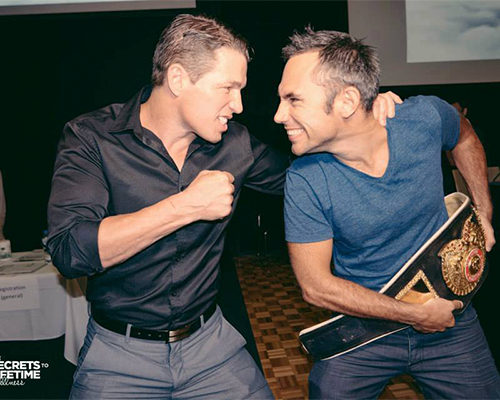 Ian and his team teach you the eye of the tiger that only a world champion understands. For most people though their goal lies outside of the ring, as their new found self confidence changes their life in so many unexpected ways. This life changing transformation comes from the support of your very own world champion team training you using world leading exercise science you can’t get anywhere else. This program gives you your own world champion trust that will be with you for the rest of your life. Join the quest of 1 million safer families! We’ve launched a national initiative. Our QUEST for 1 million SAFER Australian Families! We want you to JOIN the QUEST! Learn the simple TIPS & TRICKS that will work for everybody. At our workshops we first teach you how to avoid a dangerous situation. Once you are in trouble Lesson 1 will help you get away and create a SAFE space for yourself. If you cannot create a SAFE space for yourself immediately and are forced to defend yourself then Lesson 2 will help you first defend yourself then create a SAFE space. If your attacker forces you to the ground Lesson 3 will help you defend yourself so you can regain your footing and create a SAFE space for yourself. Having respect for ourselves and others is a cornerstone of Ian’s training. A respectful attitude is one of the key elements in staying SAFE.